The home of the 16th century Villa Emo? The inspiration behind whiny, over-emotional, largely pre-teen rock? The humble beginnings of an Irish oil company? The birthplace of comedian Emo Philips? Alas, Emo, Ontario is none of the above. 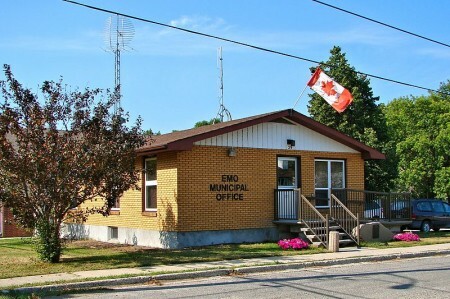 However, Emo is a town of about 1000 on Highway 11 midway between Fort Frances and Rainy River. A small agricultural town, Emo may be reminiscent of many of the small farming communities that dot southern and eastern Ontario, making it unique for something this far north. Like most of Canada, Emo was settled by people looking for free land and eventually became a little outpost on the Rainy River in 1889. 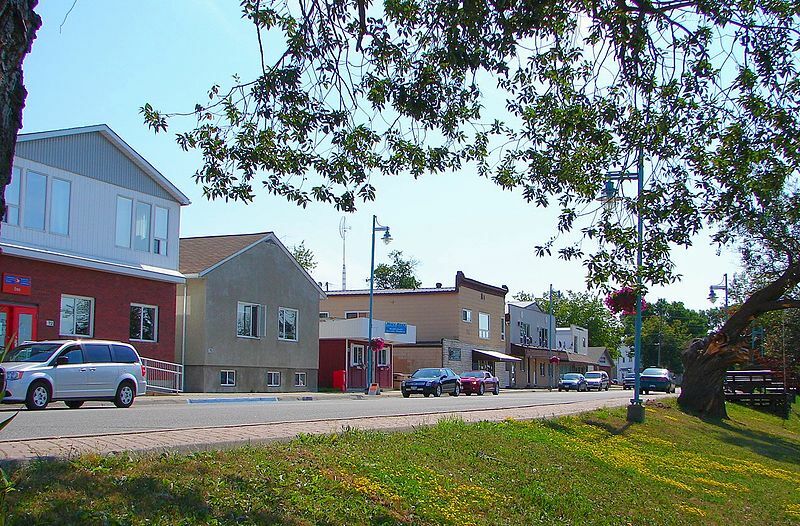 It soon became the centre of the agricultural industry in northwestern Ontario, and today is home to the Emo Agricultural Research Station. The research farm began as a crop check in Pinewood in 1985, but moved to Emo in 1990 as they outgrew their surroundings. Today the farm does research on oilseeds, forages, and cereals. You can visit on pasture nights held in early June and late September, as well as during their annual open house in late July. There is also a farm settlers’ museum run by the local Women’s Institute. The fact that Emo has a local Women’s Institute just screams “rural farming community” – I love it. Emo provides good fishing opportunities due to the Clearwater/Pipestone Lakes found just north of the town. There is stock car racing at the Emo Speedway. 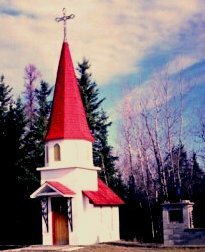 Emo is also home to the Norlund Chapel (pictured), which ranks as one of the smallest usable churches in North America – it can only hold 8 people at a time. Emo one-upped Barwick‘s tiny lighthouse with their own tiny Norlund Chapel. There are some places to stay in Emo, but since I’ve never been there, I can’t give any informed opinions. I found listings on the internet for True North Outposts and Cabins, Little Moose Lodge, and Pipestone Lodge. There is also a hardware store, variety stores, a food and jam shop, and a little grocer in town. Other Emo events include spring fever days in April, the annual Emo Walleye Classic in May, and a fall fair the third week in August. There are events held by the snowmobile club in the winter as well.